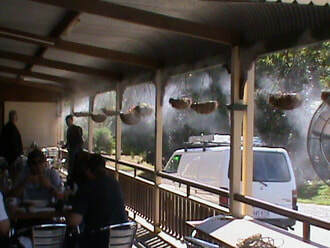 Misting systems are the only solution to keeping your family and customers Cool and comfortable outdoors. 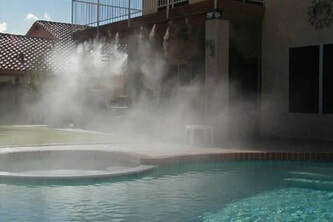 Choosing the right misting system or misting fans to cool down your outdoor areas is crucial. 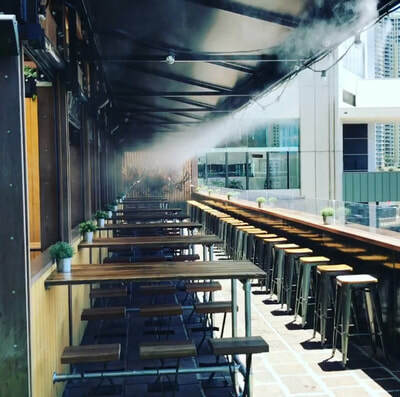 Weather Makers Australia have years of experience supplying restaurants and resorts with our misting systems. 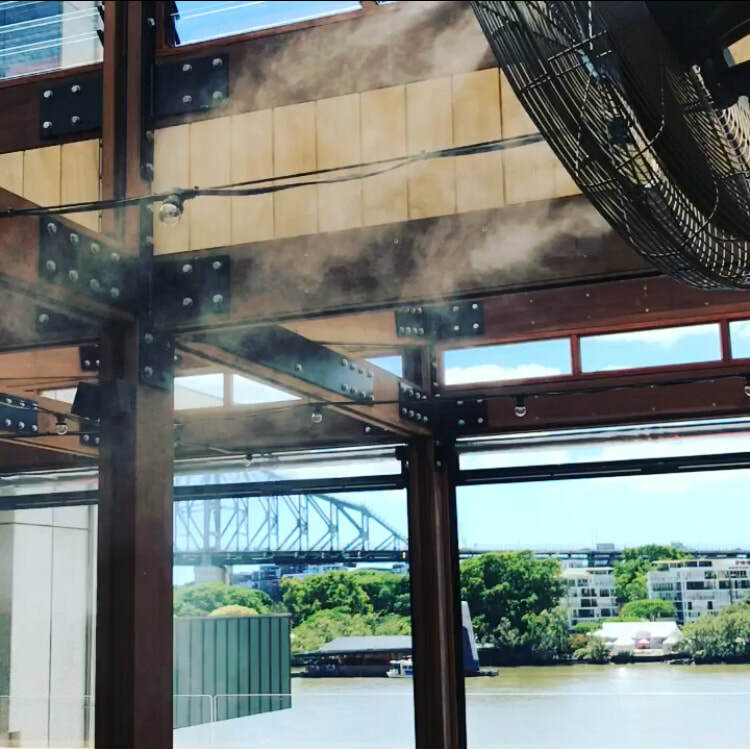 Weathers Makers Misting has been successfully supplying our customers with the benefits of this great system that their staffs really enjoys, assuring employee comfort, productivity and profits, and also a quick return on investment. 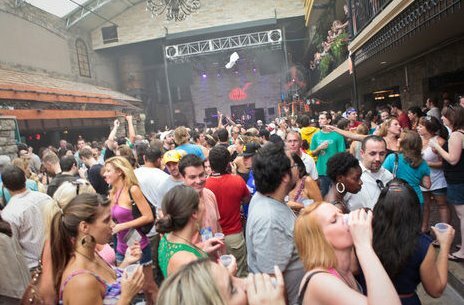 Misting systems are the only outdoor solution to keeping your customers Cool and Comfortable. 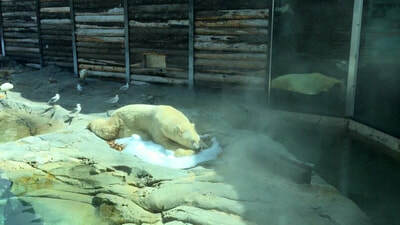 Choosing the right system to cool down these areas are crucial. Weather Makers have years of experience supplying restaurants and resorts with our misting systems. 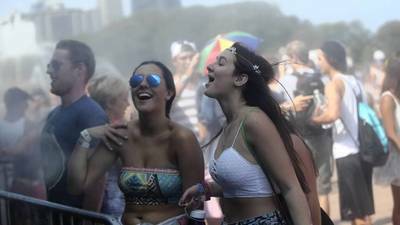 Weather Makers misting systems and misting fans have a great range of portable misting systems that is ideal for use in large open entertainment area. Our misting systems can be used indoors or outdoors. 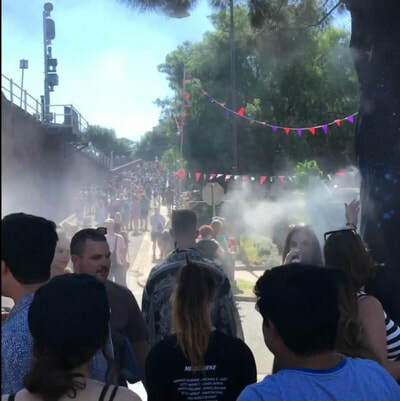 We specialize in supplying the right misting systems and misting fans for the right events that you need to host, especially during the hot summer months. Our misting systems developed over years of experience, creates virtually instant evaporation of water vapor, dispersed under high pressure into circulated air that leaves you cooled down without getting wet! 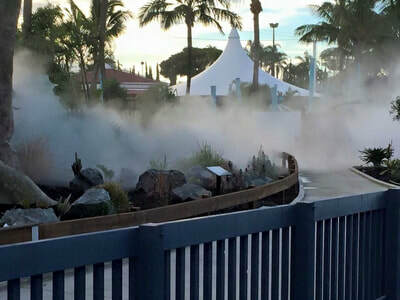 Misting has been successfully supplying our customers with the benefits of this great misting system that their staffs really enjoys, assuring employee comfort, productivity and profits, and also a quick return on investment. Installation of a weather makers misting system permits the atomization of mains water droplets (100 microns) to MICRO droplets (8 - 10 MICRONS) in size. 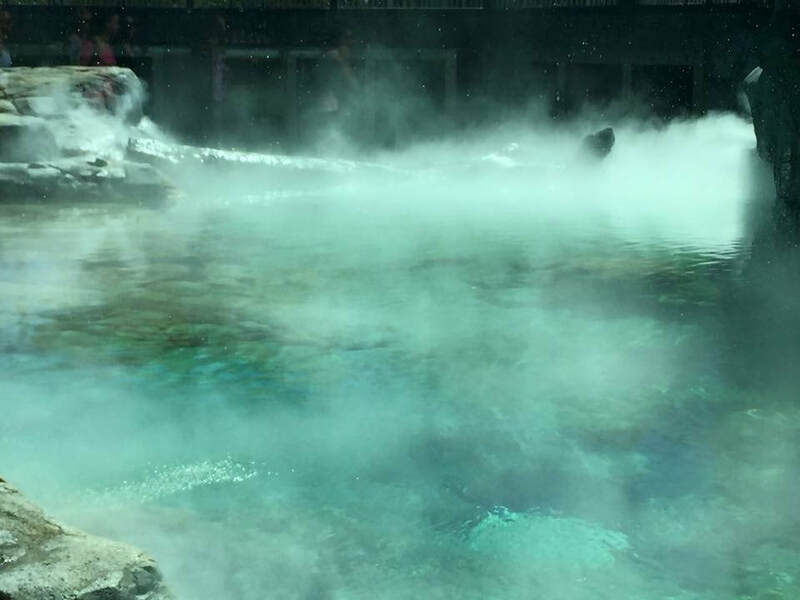 The equipment used to micro atomize water producing a refreshing cold mist includes a high pressure pump/controller and top quality brass misting nozzles fitted with anti-drip adaptors. 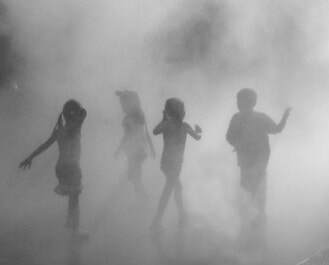 Weather Makers Mist Cooling is designed to operate where conventional air conditioning is not practical, possible or simply too expensive. As a derivative of the climate control systems used in livestock cooling applications such as - chicken hatcheries, piggeries and dairies - the design incorporates the injection of water pressurized to 1000 psi through specially designed and patented misting nozzles. 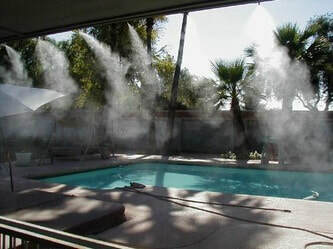 The resultant finely atomized 5 micron water droplets, when introduced into the surrounding air - effectively flash evaporate and reduce the ambient temperature by 10- 12° C.
Weather Makers nozzle-based misting system – is customized around the HVAC unit and installed and commissioned according to the demands of individual projects. Water filters and a high pressure pump/controller are integral to this system which will significantly reduce energy usage.